Nowadays, tea no longer serves the purpose of anti-oxidant only but function to work as detoxification. Recently, I came across a type of tea which serves to cleanse your body. 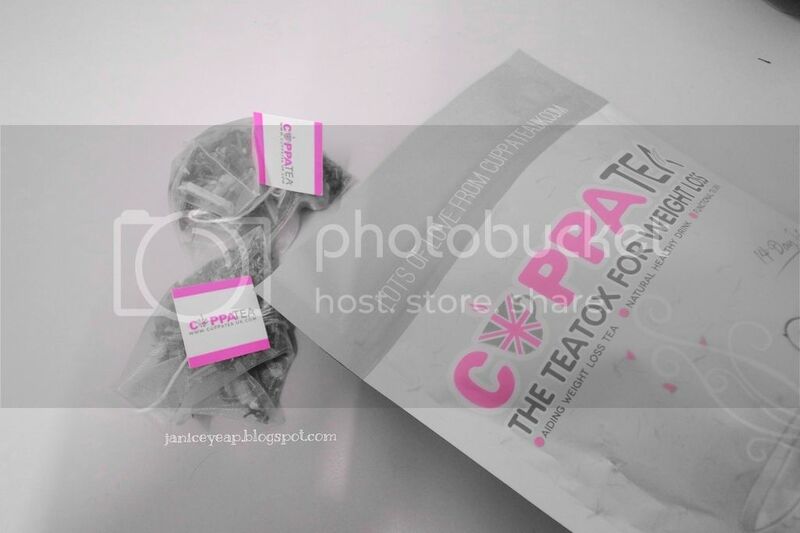 Introducing Cuppatea which is a UK-based company that promotes healthy living and natural beauty. Their teatox consists of 100% natural ingredients and aids weight loss through balanced diet and regular exercise regime. 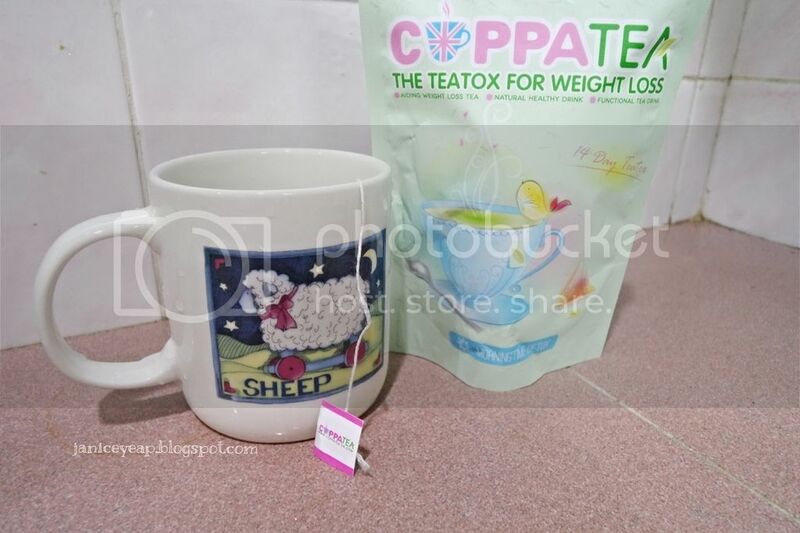 Cuppatea has the concept that weight loss should not involve diet or starvation. Beauty and weight loss could be achieved by living a balanced and healthy lifestyle. 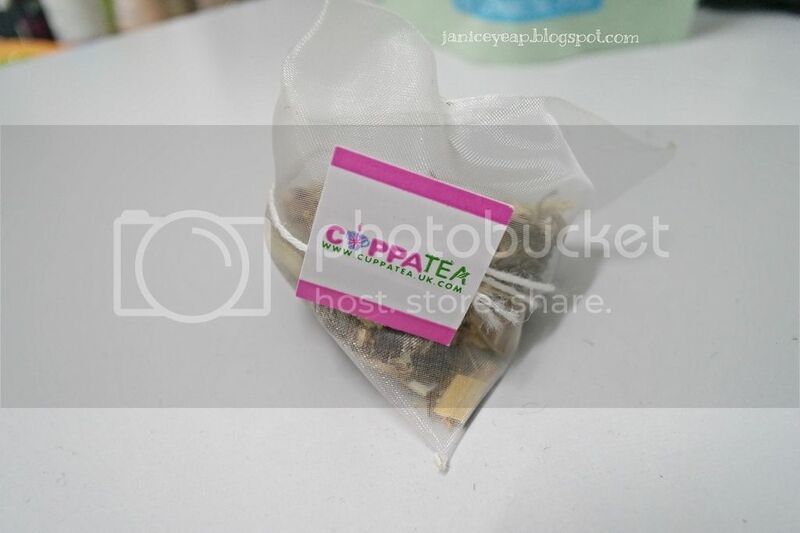 FYI, the ingredients in Cuppatea are 100% natural with no chemical or preservatives and bacteria-free. All the natural ingredients have health and wellbeing purposes and are brought together in Cuppatea to maximise benefit for you. You will notice that Cuppatea comes in 2 different sizes which are 14 Day Teatox and 28 Day Teatox. 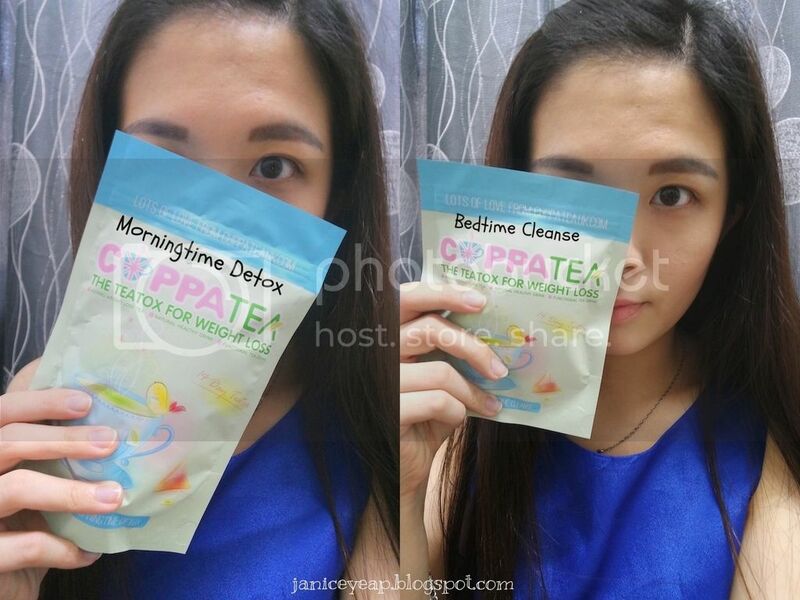 In 14 Day Teatox, there are 14 teabags of Morningtime Detox and 7 bags of Bedtime Cleanse while 28 Day Teatox comes with 28 teabags of Morningtime Detox and 14 teabags of Bedtime Cleanse. Many would ask why there is 14 teabags of Morningtime Detox and 7 bags of Bedtime Cleanse and the same goes to the 28 Day Teatox as we'll. This is because Bedtime Cleanse tea bag is to be consumed every alternate nights unlike the Morningtime Detox, you need to consume it every day. Since it's my first time trying out teatox programme, so I did not dare to take the risk of starting my teatox on weekdays. I tried my programme on the weekend in case my body needs time to adjust to the natural elimination process. Infuse one Morningtime Detox tea every morning with near boiling water for 3 minutes to kickstart your day. On the other hand, brew one Bedtime Cleanse tea bag every alternate nights. Let say if you start your teatox on a Thursday, the next time to drink the Bedtime Cleanse will be on a Saturday, Monday, Wednesday and Friday. 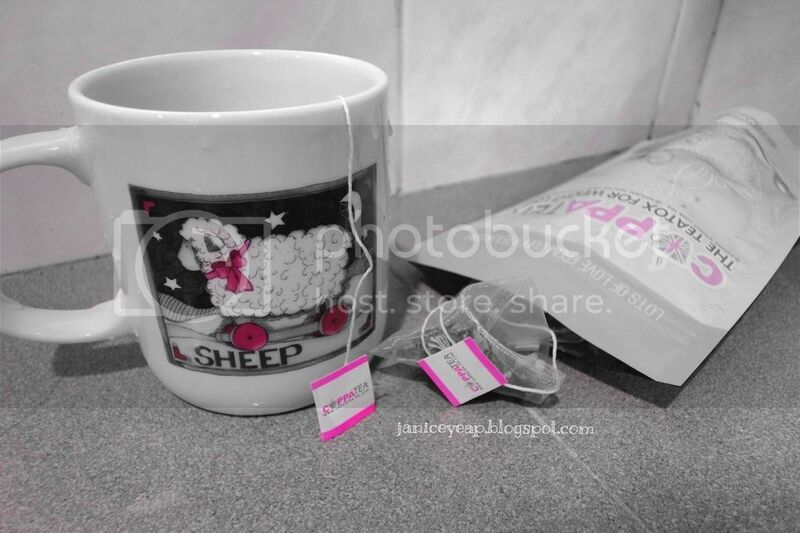 As for the taste of the Cuppatea, I prefer to drink it originally without adding in honey or lemon to enjoy my tea. 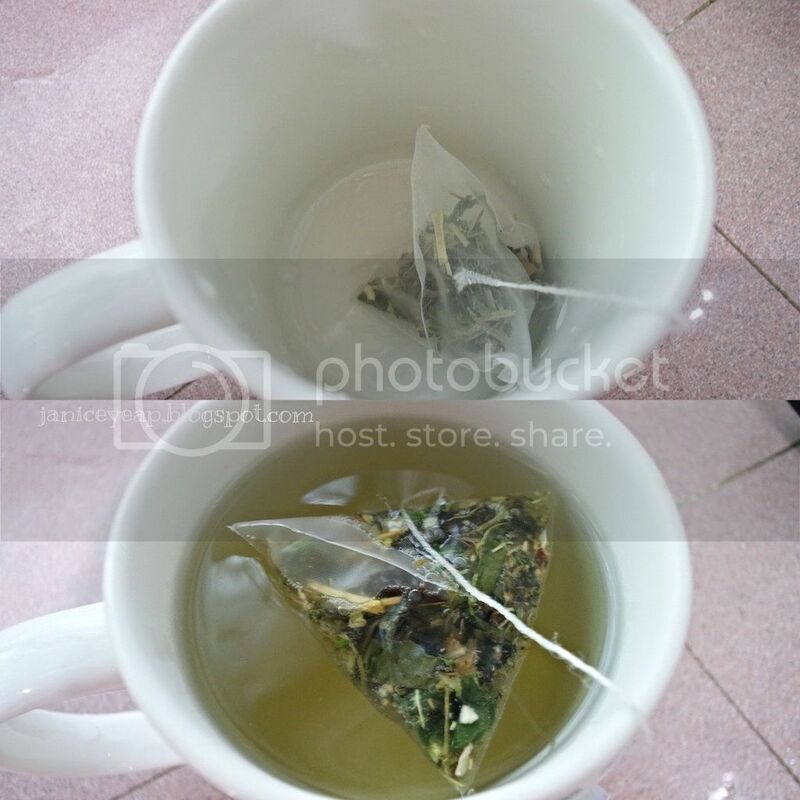 Both Morningtime Detox taste similar to green tea and Bedtime Cleanse tea has a floral taste of chamomile. I did experience some tummy discomfort after consuming the Bedtime Cleanse. I think it's pretty normal as we need to flush out some toxins from the body through the effect of senna leaves which is in the Bedtime Cleanse tea. Anyway, here's the results with the Cuppatea after 2 weeks plus. The results might not seen to be super awesome but overall I was happy with the results. I do not feel bloated like previously anymore. In fact I felt my body was so much cleaner than before from inside. The shape of my body somehow improved compared to the previous one. At least I have a slightly curvy shape on the side and tummy was slight more flat than before. However, the results could have been better if I followed the diet plan nicely and not eating whatever I feel like eating most of the time. So I would suggest to you guys out there to follow the diet plan provided by Cuppatea in the website and exercise (which is the MOST important) in order to achieve the results that you wish to. 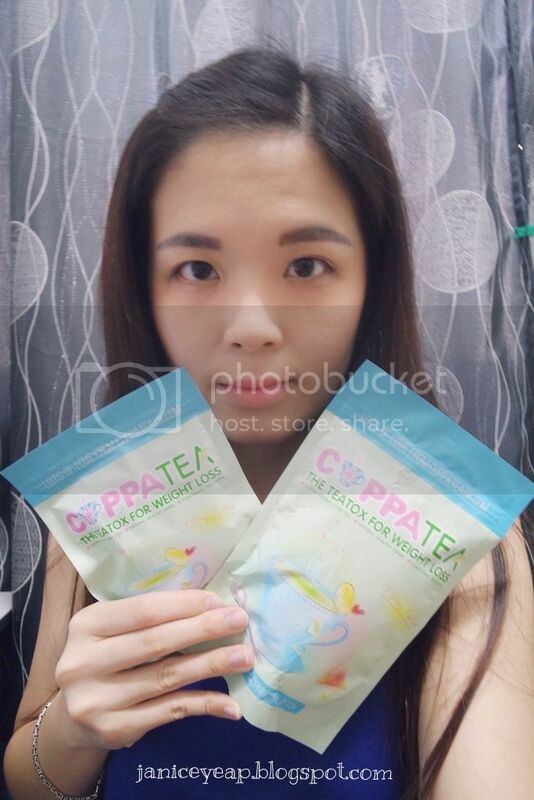 Cuppatea is also kind enough to provide free eating plan in their website to those who wish to maximise weight loss and optimise detoxification through the Cuppatea teatox. It is also important to have your regular meals along with regular exercise as Cuppatea Teatox is not a meal replacement. Cuppatea 14-Day Teatox is priced at £18.99 (GBP 18.99) and if you wish to purchase, here's a good news to my readers! You can get it at 15% off by entering "janice15off" for 14-Day Teatox, 28-Day Teatox and their Share The Lovetox package too.